Carol Topp, CPA, owner of CarolToppCPA.com and MicroBusinessForTeens.com helps people, especially teenagers, start their own small businesses. 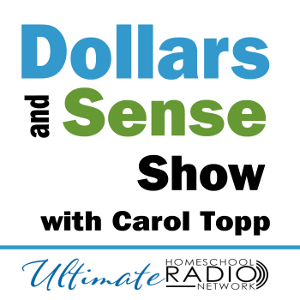 Carol has presented numerous workshops on money management, business start up, taxes, budgeting and homeschooling to various community, church and homeschool groups. She has authored several books including Homeschool Co-ops: How to Start Them, Run Them and Not Burn Out, Business Tips and Taxes for Writers and Teens and Taxes: A Guide for Parents and Teenagers. Carol lives in Cincinnati, Ohio with her husband where she runs her micro business from her home.